Dent Dale is the valley or dale in the North West of the Yorkshire Dales and which the River Dee flows through. There is a geologically fault that passes through the valley and slits it into two types of rock. 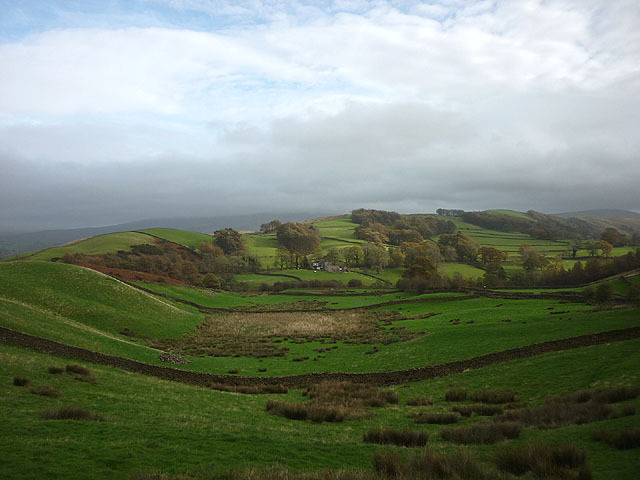 To the south of the Dent fault runs across the valley and close to the village of Gawthorp is made up of Carboniferous Limestone, then to the north Silurian and Ordovician rocks make up the Howgill Fells. The Dales Way Walk passes through Dent Dale and stopping off you can have a look at the Heritage Centre to see "A Walk Back In Time In The Dales" in the village of Dent. Throughout the year in Dentdale there are many events. It hosts many fell races, three of which are the Dentdale Fell Race, Rise Hill Fell Race, and Whernside Fell Race. Take a tour and a tipple at Dent brewery in the village of Cowgill or maybe a few if you are staying local in one of many accommodations. Play golf at Sedbergh Golf Club or a indulge in a spot of fishing with the Sedbergh & District Angling Club which has Salmon and Trout on the river Lune, or visit John Cook’s Art Studio. The Dent music and beer festival at the end of June is a great day out and just another great reason to visit this beautiful place.